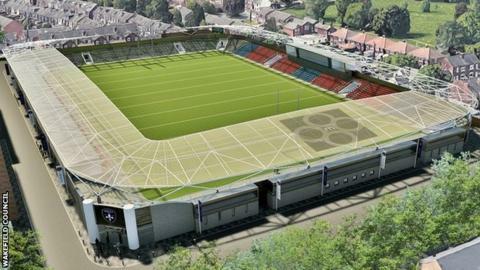 Wakefield Trinity have acquired their Belle Vue stadium home. The Super League club, who have also purchased the adjoining land, now plan to redevelop the ground, where they have played for more than 120 years. "This is a historic day for our great club," chairman John Minards told the club website. "This is only very much the first stage of our redevelopment plans and we continue to be in active discussions with a number of parties." Wakefield Council announced a £12m plan to redevelop Belle Vue in September 2017 but the club had wanted to proceed with plans to build a new stadium in Rothwell, first announced in 2010. However, they agreed to the Council's plans in December of that year and Thursday's news brings an end to any lingering uncertainty about where the club's long-term future lies.